A Diploma Thesis titled “Combined impact of road and traffic characteristics on driver behavior using data from smartphones” was recently presented by Virginia Petraki. High resolution driving behavior data were collected using sensors of smartphones which were combined with traffic and road geometry characteristics and subsequently were depicted spatially using GIS. From the application of these models it is observed that in road segments there is an increase in the number of harsh events if average traffic volume per lane increases in the respective segments. Furthermore, in junctions as the average occupancy increases, there is an increase in harsh accelerations, and as average speed increases more harsh decelerations occur. A Diploma Thesis titled “Correlation of driver behaviour and fuel consumption using data from smartphones” was recently presented by Eva Michelaraki. The aim of this Diploma Thesis is the correlation of driver behaviour and fuel consumption using data from smartphones. To achieve this objective, data collected from 17 drivers who participated at a naturalistic driving experiment for four months are analyzed. The results demonstrated that there was a remarkable reduction in fuel consumption, by improving the way participants were driving and also a smoother and a greener driver behavior was achieved. A stronger correlation has emerged between harsh accelerations and fuel consumption, but also speed, braking, smartphone usage while driving, driving at night and demographic features had a direct impact on fuel consumption. A Diploma Thesis titled “Self-assessment and Road Behaviour” was recently presented by Mikaela Panagiotopoulou. The aim of the Diploma Thesis is to relate self-assessment and other characteristics of drivers with parameters of their road behavior. 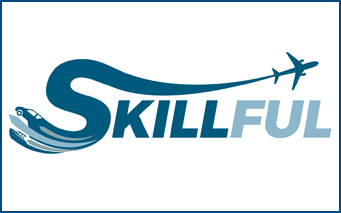 To achieve this goal, a pilot simulator experiment was conducted and a questionnaire was filled in a sample of 125 drivers. The application of the models revealed that the drivers who have positively self-assessed their driving abilities drive faster and showcase speedy reaction time. 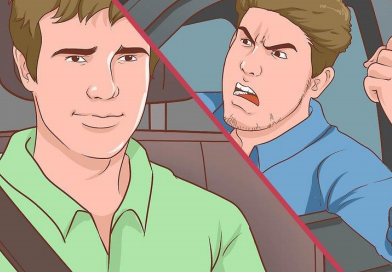 The drivers in general, evaluated realistically their driving skills with an exception when it came to the safety driving measures which were: keeping an adequate headway from the vehicle in front, accurately adjusting their speed on different driving conditions, maintaining speed limits. A Diploma Thesis titled “Greek drivers’ attitudes towards aggressive driving” was recently presented by Aggeliki Stefatou. The objective of this Diploma Thesis is the investigation of the characteristics of driver aggressiveness in Greece via their perceptions on their own behavior and the behavior of other drivers. Specifically, within the framework of the SafeCulture survey, the answers of 302 car drivers and 201 two-wheeler drivers on 8 questions regarding speed, 6 questions regarding overtaking behavior and aggressiveness and 4 questions regarding alcohol consumption were analyzed. Results indicate that drivers do not perceive traditional crash factors as causes for their crash involvement. The only contributing factors perceived by drivers was found to be those involving driver overtaking behavior and aggressiveness. A Diploma Thesis titled “Spatial analysis of driver safety behavior using data from smartphones” was recently presented by Ilias Parmaksizoglou. The aim of this diploma thesis is to conduct a spatial analysis of driver safety behavior using data from smartphones. Data were processed in a GIS computer environment, resulting to the creation of new tables describing the phenomena observed on the road map of the study (Leoforos Mesogeion) in node and link areas. Analytic maps were developed that aimed to indicate patterns of the accumulation and ranking of the harsh events in the selected road axis. Finally, four linear regression models were developed, which demonstrated speed as the most statistically significant factor in predicting harsh events per day on a region basis. A Diploma Thesis titled “Impact of economic, social and transport indicators on road safety during the crisis period in Europe” was recently presented by Valentina Vassili. The objective of this Diploma Thesis is to investigate the impact of economic, social and transport indicators on road safety before and after the crisis period in Europe. 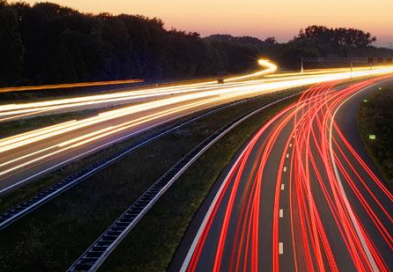 For this analysis a database containing Gross Domestic Product per capita (GDP), motorway-kilometers per road network-kilometers, vehicle fleet per population and road fatalities for European states for 2000-2016 was developed. The results led to the conclusion that Gross Domestic Index per capita has the most important impact and its increase leads to road fatalities decrease. Moreover, the increase of motorway-kilometers per road network positively affects the road fatalities decrease. A Diploma Thesis titled “Identification of critical driving parameters affecting speeding using data from smartphones” was recently presented by Aris Kokkinakis. The aim of this Diploma Thesis is to identify the critical driving parameters that affect speeding using data from smartphones. 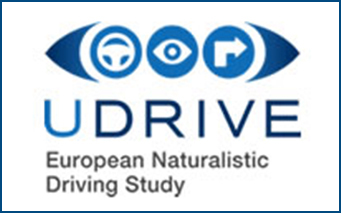 To achieve this objective, data collected from sixty- eight drivers who participated at a naturalistic driving experiment for fifteen months are analyzed. The analysis was carried out with the use of statistical method of linear regression. The results revealed that all six parameters, distance, high intensity harsh accelerations and brakings, harsh cornerings, average deceleration and mobile usage, were statistically significant in the regression models. For the general model, the number of high intensity harsh brakings had the most significant impact, whereas for each type of road separately, distance was the most significant parameter. A paper titled “Review and ranking of crash risk factors related to the road infrastructure” authored by Eleonora Papadimitriou, Ashleigh Filtness, Akis Theofilatos, Apostolis Ziakopoulos, Claire Quigley and George Yannis is now published in Accident Analysis and Prevention. 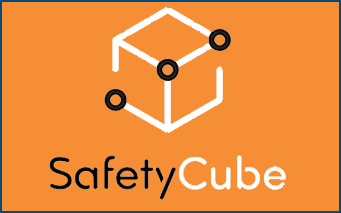 This analysis was carried out within the SafetyCube project, which aimed to identify and quantify the effects of risk factors and measures related to behaviour, infrastructure or vehicles, and integrate the results in an innovative road safety Decision Support System (DSS). Synthesis of results was made through 39 ‘Synopses’ (including 4 original meta-analyses) on individual risk factors or groups of risk factors. This analysis allowed the ranking of infrastructure risk factors into three groups: risky (11 risk factors), probably risky (18 risk factors), and unclear (7 risk factors). For full text just ask us by replying to this email. 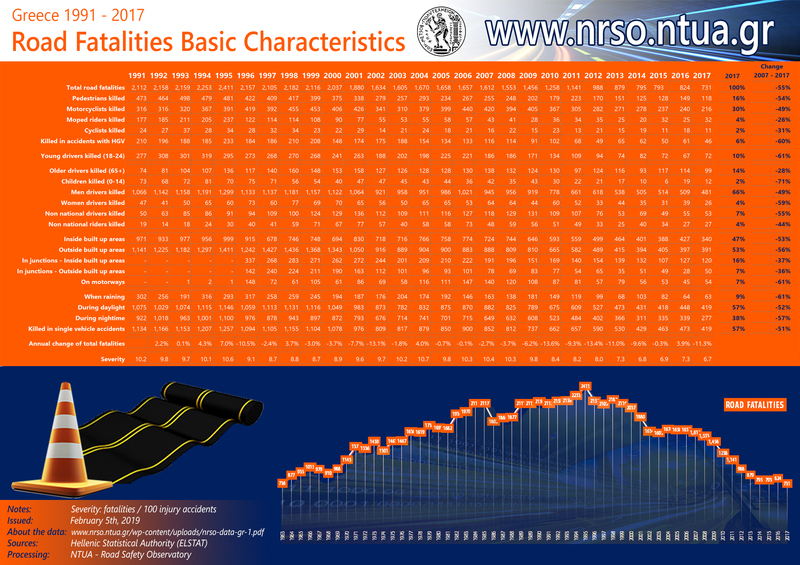 Basic characteristics of road fatalities in Greece for the period 1991-2017 are summarised in a comprehensive Table prepared by the NTUA Road Safety Observatory (data source: ELSTAT). Since 2007, there are approximately 900 less road fatalities per year in Greece. According to these time series data a spectacular decrease in road fatalities for children 0-14 years old (-71%), young drivers (-61%) and on motorways (-61%) is observed during the last decade. On the contrary, fatalities decrease during the last decade is quite limited for moped riders (-26%), older drivers (-28%) and at rural (36%) and urban (37%) junctions. 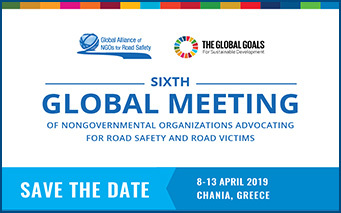 NTUA Professor George Yannis presented recently the Global Road Safety Landscape at the Governing Board Meeting of the Private Sector Global Coalition Together for Safer Roads (TSR) composed by 16 leading global companies, highlighting the key challenges, perspectives and opportunities of global road safety. The World Health Organisation (WHO) published an Interactive Map on Global Road Safety, based on the recently published Global Status Report on Road Safety 2018. This Interactive Map is a highly useful tool allowing to visualize a wealth of information and several road safety parameters per country as well as to highlight the shocking fact that every 23 seconds a road user looses their life. The Global Status Report on Road safety 2018 has been published by World Health Organisation (WHO) with the active contribution of NTUA, in December 2018, highlighting insufficient progress as the number of annual road traffic deaths has reached 1.35 million. Road traffic injuries are now the leading killer of people aged 5-29 years. The report suggests that the price paid for mobility is too high, especially because proven measures exist. These include strategies to address speed and drinking and driving, among other behaviours; safer infrastructure like dedicated lanes for cyclists and motorcyclists; improved vehicle standards such as those that mandate electronic stability control; and enhanced post-crash care. Drastic action is needed to put these measures in place to meet any future global target that might be set and save lives. 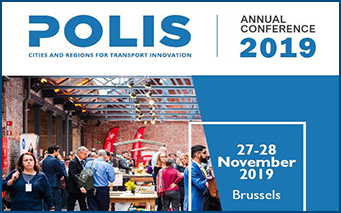 The 2018 Polis Conference on “Transport innovation for sustainable cities and regions” took place with great success on 22 and 23 November 2018, in Manchester, UK, organised by POLIS, the European Cities Network. 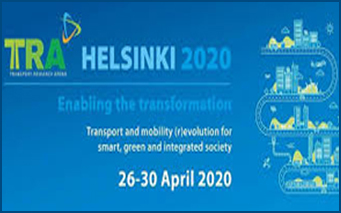 The conference provided an opportunity for cities, metropolitan areas and regions to showcase their transport achievements to a large audience, and for the wider transport community to engage with representatives of local and regional authorities on innovative transport solutions. 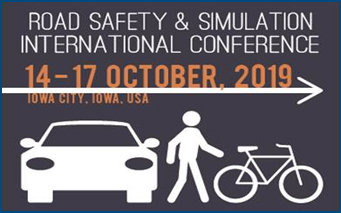 Road Safety was one of the key areas of the Conference, as is also the subject of the special joint POLIS–ITF workshop titled: From Safety Data to Safer City Streets. The 2018 Polis Conference was the most successful edition ever, with a record number of 550 participants. In 2019, the annual event will return to Brussels, and will celebrate the network’s 30th anniversary. 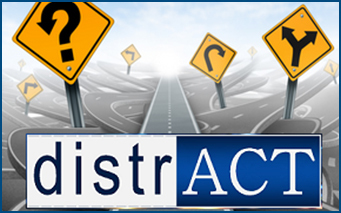 A paper titled “Which factors affect accident probability at unexpected incidents? A structural equation model approach” authored by Panagiotis Papantoniou, Constantinos Antoniou, George Yannis and Dimosthenis Pavlou is now published in Journal of Transportation Safety & Security. A driving simulator experiment was carried out, in which 95 participants were asked to drive under different types of distraction (no distraction, conversation with passenger, cell phone use) in different road and traffic conditions. Then, in the framework of the statistical analysis, driving performance is estimated as a new unobserved (latent) variable based on several individual driving simulator parameters while a structural equation model is developed investigating which factors lead to increased accident probability at unexpected incidents. Regarding driver distraction, results indicate that cell phone use has a negative effect on accident risk confirming the initial hypothesis that when talking on the cell phone drivers find it difficult to handle an unexpected incident and as a result are more likely to commit an accident. Dimitris Tselentis has successfully defended his PhD dissertation titled: Benchmarking Driving Efficiency using Data Science Techniques applied on Large-Scale Smartphone Data. This PhD thesis was carried out at the Department of Transportation Planning and Engineering at the School of Civil Engineering of the National Technical University of Athens under the supervision of Prof. George Yannis, with the support and data from OSeven Telematics. The main objective of this PhD is to provide a methodological approach for driving safety efficiency benchmarking on a trip and driver basis using data science techniques. It also investigates the way to achieve this by defining a safety efficiency index based on travel and driving behaviour metrics collected from smartphone devices. 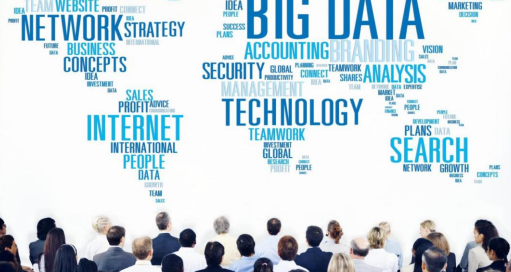 Furthermore, the present doctoral research proposes a methodological framework for identifying the least efficient trips in a database and for estimating the efficient level of metrics that each non-efficient trip should reach to become efficient. Finally, this dissertation’s objective is to study the temporal evolution of driving efficiency and identify the main driving patterns and profiles of the driver groups formed. 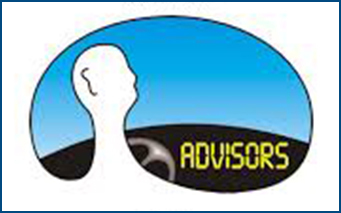 The Horizons 2020 research project InDev (In-depth Understanding of Accident Causation for Vulnerable Road Users) recently published a handbook with focus on vulnerable road users entitled: How to analyse accident causation? This handbook was developed to help road safety professionals diagnose road safety problems by gaining more insights into the mistakes by road users that lead to collision. 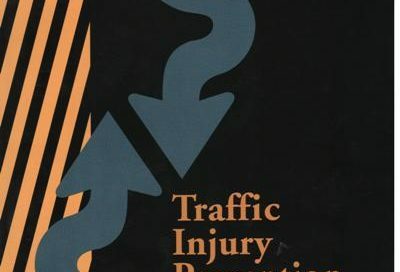 It describes various road safety methods that can be applied for studying the safety of vulnerable (and other) road users, including: accident data analysis, conflict and behavioural observations, self-reporting and naturalistic studies and road safety audit and inspection. 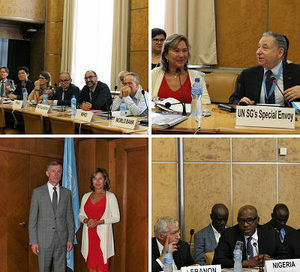 The United Nations Road Safety Trust Fund which launched in April 2018, took an important step towards becoming operational, with the first meetings of its Advisory Board and Steering Committee taking place in Geneva. The Trust Fund aims to catalyze efforts to address the critical global road safety situation by bridging the gaps in the mobilization of resources and ensuring the effective coordination of action at all levels. The Eurostat Regional Yearbook 2018 provides a detailed picture relating to a broad range of statistical topics across the Regions of the EU Member States, as well as the Regions of the EFTA and candidate countries, including the European Regions with the lowest and highest road accident rates. Each chapter presents statistical information in maps, tables, figures and infographics, accompanied by a descriptive analysis highlighting the main findings. In the framework of the European Survey of Road users’ safety Attitudes (ESRA), NTUA released 3 new infographics, regarding “Drivers’ self-declared behaviour” , “Drivers’ attitudes towards unsafe behaviour” and “Drivers personal and social acceptability” . 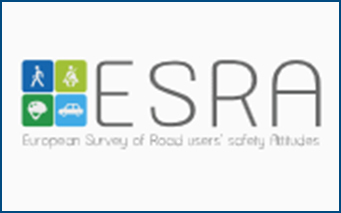 ESRA is a joint international initiative of 26 research centers and road safety institutes; the project has surveyed road users in 38 countries on 5 continents. 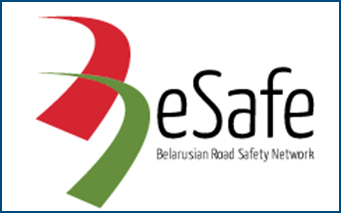 The purpose of this network is to collect comparable data on the opinions, attitudes, and behaviour of road users concerning road safety and mobility, and to provide scientific evidence for policy making at the national and international levels. The Updated Main Report (2017 edition) of ESRA has been published containing the results from the survey in 38 countries, including 13 Latin America countries. A Diploma Thesis titled “Investigation of Drivers’ Preferences Towards New Innovative Vehicle Insurance Schemes” was presented by Emmanouil Konstantinopoulos in July 2018, with the support and data from OSeven Telematics. 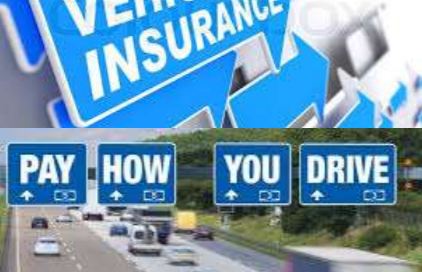 The objective of this Diploma Thesis is to investigate the most important factors that determine the demand of Greek drivers for vehicle insurance services comprising new innovative insurance schemes of Pay As You Drive and Pay How You Drive (PAYD & PHYD), taking into account critical characteristics of driving behaviour. The analysis demonstrated that the young and the female drivers show higher probability of selecting PAYD/PHYD schemes, while the Freelancers are more reluctant to such schemes. 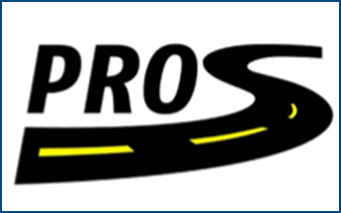 The new Forever Open Road website has been launched by FEHRL. The vision behind the Forever Open Road programme is to focuss on the best of existing technologies and the best of those to come. Many of the required solutions exist already from previous research, but are not (yet) implemented to their full potential; some innovations will be developed in the short-term, and others at an earlier stage of development with implementation in the longer term. Investigation on the untapped potential and the eventual barriers to their implementation will undoubtedly offer quick wins to the road operators. Serious crashes on inter-urban roads may be slashed by a quarter over the next 30-40 years with the introduction of automated vehicles. However, the journey may be far from easy, with a mixed fleet transition and vital need for roads that cars can read, according to recent Report released by EuroRAP. 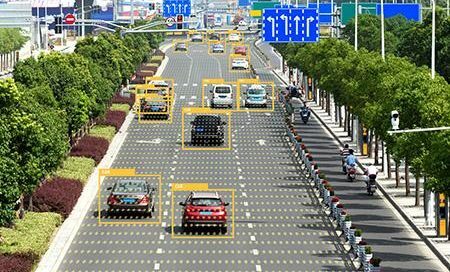 The Report, the third in the “Roads that Cars Can Read” series, examines the relationship between road infrastructure and safety for conventional and increasingly-autonomous vehicles (AVs) and provides a framework for infrastructure safety investment. Other Reports in the series: “Roads that cars can read I: A consultation paper” – 2011 and “Roads that cars can read II: A quality standard for road markings and traffic signs on major rural roads” – 2013. A paper titled “Public opinion on Usage-Based Motor Insurance Schemes: a stated preference approach” authored by Dimitris Tselentis, Akis Theofilatos, George Yannis and Manos Konstantinopoulos is now published in Travel Behaviour and Society scientific Journal, with the support and data from OSeven Telematics. This paper aims to investigate which parameters affect users’ willingness to pay for alternative usage-based motor insurance pricing schemes such as Pay-as-you-drive (PAYD) and Pay-as-how-you-drive (PHYD). Results indicated that women and smartphone owners are more likely to choose a new insurance schemes. Kilometers and cost reduction were also found to affect similarly the choice for both Usage-Based-Motor Insurance (UBI). Moreover, the higher the speed reduction imposed to the driver, the lower the probability of the UBI scheme to choose it. NTUA Professor George Yannis gave a Lecture at the European Commission – DG for Research and Innovation on 11 June 2018 in Brussels, titled “Road Safety in Africa and Beyond“. 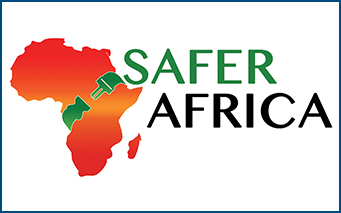 The Lecture focused on various aspects of road safety in Africa and worldwide, on the the SaferAfrica research project and on the respective EU international cooperation policies in the field, followed by a vivid discussion on key road safety problems and the EC role for potential policies, programmes and measures for the improvement of road safety in Africa and worldwide. 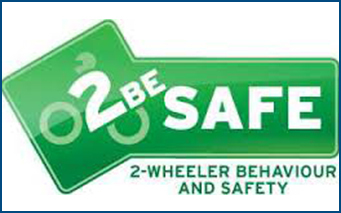 The European Union Road Federation (ERF) and the Federation of European Motorcyclists’ Associations (FEMA) have published a joint position paper, called ‘Improving infrastructure safety for powered two-wheelers’. Only in 2017 power two-wheelers fatalities (motorcycles and mopeds) counted for 17% of the total road victims, while accounting only for 1,8% of the total traffic flow. 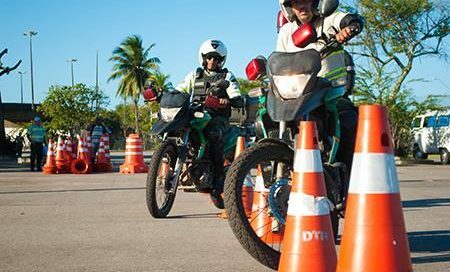 Both ERF and FEMA strongly believe that road safety for motorcyclists can be significantly improved by looking at the design of road infrastructure. 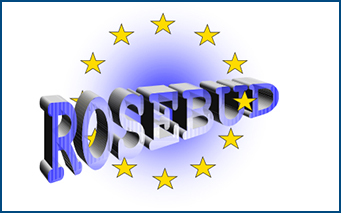 The European Transport Safety Council (ETSC) has published the 35th PIN Flash Report “An Overview of Road Death Data Collection in the EU“, with the active contribution of NTUA. The goal of this PIN Flash Report is to gather information on road death data collection in different PIN countries and to find out if and how countries cross-check or complement road death data recorded by the police with alternative sources. This Report provides very useful information to exchange good practice on how to improve road death data collection and recording. The European Commission’s Directorate General for Mobility and Transport (DG Move) published a Report on the preparatory work for an EU road safety strategy 2020-2030. This Report was prepared by Jeanne Breen assisted by SWOV and Loughborough University’s Design School. 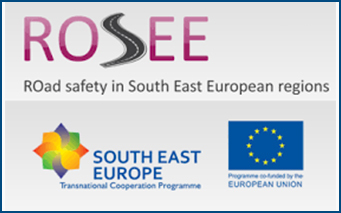 The Commission set three objectives to be addressed: 1) assess the outcome of the road safety policy framework to 2017; 2) consider current and future changes in mobility and its consequences and challenges in relation to road safety; and 3) assist in the preparation of the EU road safety framework for 2020-2030. A paper titled “Impact of real-time traffic characteristics on crash occurrence: The case of rare events” authored by Athanasios Theofilatos, George Yannis, Pantelis Kopelias and Fanis Papadimitriou is now published in Accident Analysis and Prevention Journal. 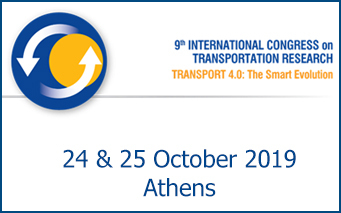 This paper investigates crash likelihood by utilizing real-time traffic data from three random loop detectors in the Attica Tollway located in Greater Athens Area in Greece and by proposing a framework driven by appropriate statistical models (Bias Correction and Firth method) in order to overcome the problems that arise when the number of crashes is very low. Under this approach instead of using traditional logistic regression methods, crashes are considered as rare events. The method and findings of the study provide insights on the mechanism of crash occurrence and also revealed that lower speeds are more likely to result in accident. 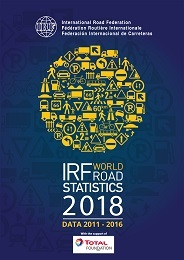 Since 53 years, the International Road Federation (IRF) World Road Statistics (WRS) continue to be the major comprehensive, universal source of statistical data on road networks, traffic and inland transport. 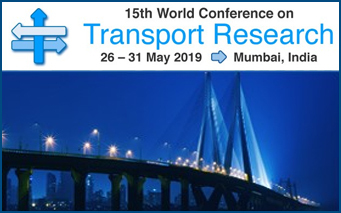 Over the past years, the WRS have proved to be an invaluable and internationally accepted reference tool for governments, NGOs, investments banks, research institutes and anyone analyzing and reporting trends in key subject areas like traffic volumes and vehicle usage, road expenditure, road safety, energy consumption and emissions. 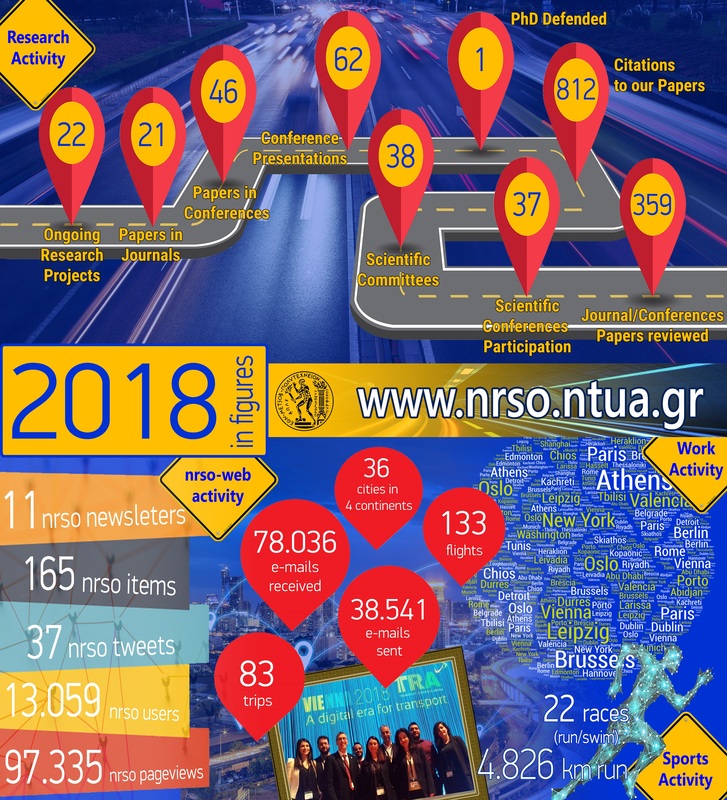 This year, the WRS 2017 (data 2010-2015) features more than 205 countries, with data on over 45 road related topics, presented in nine substantive sections, with the active contribution of NTUA for the Greek data. European Commission (DG Employment, Social Affairs and Inclusion) released a very interesting guide containing good practices for managing work related vehicle risks in the EU, with a specific focus on workplace transport, driving for work and working on or near a road. 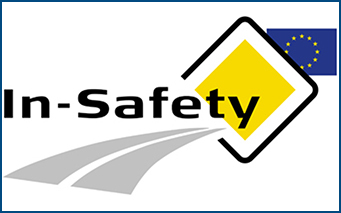 With this interactive e-guide many good practices are provided as well as an overview of relevant regulations and information in three key aspects of vehicle risks: safe driving for work, workplace transport safety, and working on or near a road. 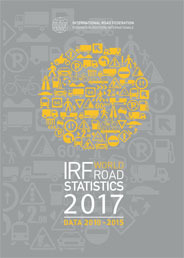 The International Road Traffic and Accident Database (IRTAD) of the International Transport Forum (ITF/OECD) published the full version of the Road Safety Annual Report 2018, which provides a detailed insight of road safety performance for 28 countries. 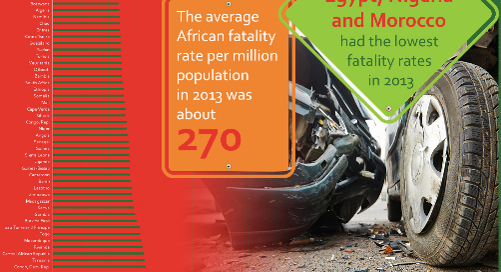 The Annual Report outlines the most recent road safety developments across IRTAD countries and provides comparative data for the main road safety indicators also detailed by road user, age group and type of road. 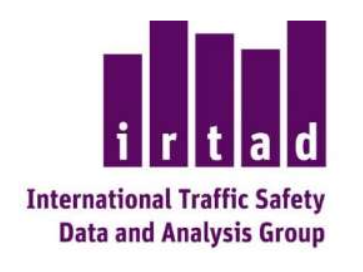 Furthermore, the IRTAD Annual Report contains syntheses of the the road safety strategies and targets in place as well on recent trends in speeding, drink-driving and other aspects of road user behaviour. A paper titled “How many crashes are caused by driver interaction with passengers? A meta-analysis approach” authored by Athanasios Theofilatos, Apostolos Ziakopoulos, Eleonora Papadimitriou, and George Yannis is now published in Journal of Safety Research. Conversation and other interactions with passengers while driving induce a level of distraction to the person driving. 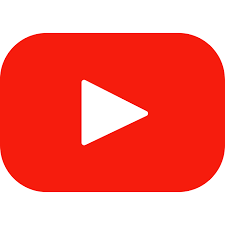 This paper conducts a qualitative literature review on the effect of passenger interaction on road safety and then extends it by using meta-analysis techniques. 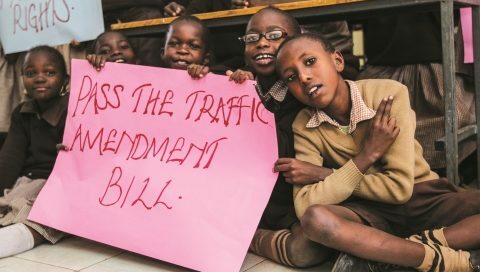 The findings of the random-effects meta-analyses that were carried out showed that driver interaction with passengers causes a non-negligible proportion of road crashes, namely 3,5% of crashes regardless of the age of the passengers and 3.8% when child and teen passengers are excluded. The Hellenic Statistical Authority (ELSTAT) has issued a comprehensive set of statistics on Casualty Road Accidents in Greece for 2016, comprising time-series for the decade 2007-2016. In 2016, 11.318 road accidents with fatalities or serious injuries occurred in Greece, recording a decrease of 1.1% in comparison with 2015 and ending an impressive road fatalities drop during the economic crisis of almost 50%. During the last five years, road fatalities in Greece have decreased by 29% (since 2011), however injury road accidents decreased only by 17%. 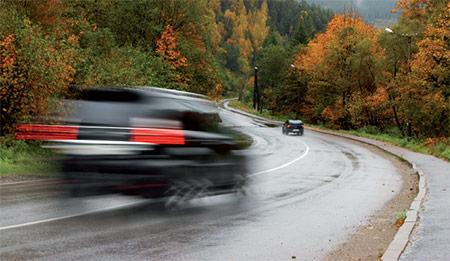 The rate fatalities per number of vehicles has decreased by 30% since 2011. The International Road Traffic and Accident Group (IRTAD) of the International Transport Forum (ITF/OECD) published recently a new Report: “Cooperative Mobility Systems and Automated Driving”. 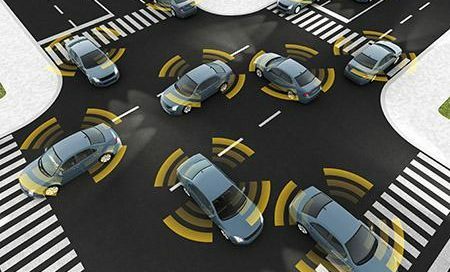 Automated vehicles could make roads safer as well as reduce congestion. Whether society will be able to capture these benefits while minimizing negative impacts depends on effective regulation of self-driving vehicles. The technology is still largely experimental and mass use is likely to take decades. This report reviews the range of existing service concepts for automated driving systems and technologies, the operational environments they require and assesses the need for regulatory action. “The Road to Zero Report” was developed by the Road to Zero Coalition, together with the RAND Corporation, setting a goal to eliminate traffic fatalities in the U.S. by 2050. The report is the first of its kind in the U.S. and identifies proven, life-saving actions for the short, mid, and long-terms that should be taken by federal, state, and local government officials; automakers; technology manufacturers; business leaders; insurance agencies; law enforcement; and safety advocates. The International Transport Forum (ITF/OECD) published recently a new Report: “Integrating Urban Public Transport Systems and Cycling”. 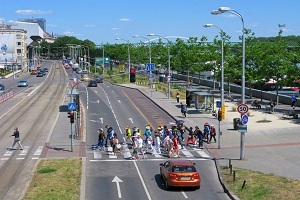 Seamless integration between bus, BRT, light rail, metro and rail systems and walking and cycling is the main challenge in delivering competitive levels of service, in terms of convenience, flexibility, cost as well as safety. ITF Report recommendations suggest that cycling can greatly extend the range of public transport options available to urban travellers. 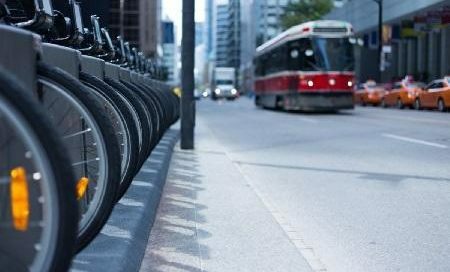 Cycling significantly increases the catchment area of rail stations with bike-share systems greatly facilitating the use of cycling to complete trips on public transport as well as promoting cycling more generally. 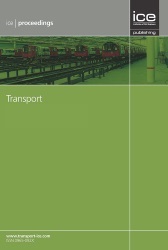 A new book titled: “Safe Mobility: Challenges, Methodology and Solutions (Transport and Sustainability)” by Dominique Lord and Simon Washington is just published as Volume 11 in the series Transport and Sustainability. Safe mobility is clearly linked to transport sustainability, as fatalities and injuries resulting from people engaged with transport networks increasingly becomes a public health concern, relative to other health threats. This volume presents the current state of the knowledge across a multitude of analytical and context specific transport safety areas with final aim to make further gains in road safety globally. 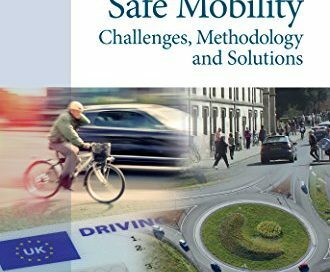 It includes a comprehensive set of chapters authored by many of the world’s leading experts in both behavioural and engineering aspects of safe mobility. The European Commission’s Directorate General for Mobility and Transport (DG Move) published the EU good practice guide: Safer roads for all. It includes Road Safety Statistics in EU, and good practices in EU countries with different safety performance levels. The EU success story is the result of many contributing factors: making road safety a political priority; broad cooperation across borders for a true European road safety area; adoption of the ‘safe system’ approach and the ‘vision zero’ perspective; target setting, data collection and continuous monitoring of results; and dedicated actions ranging from education and awareness campaigns to legislative action and safety focused technical vehicle regulations. A paper titled “Structural equation model analysis for the evaluation of overall driving performance: A driving simulator study focusing on driver distraction” authored by Panagiotis Papantoniou is now published in Traffic Injury Prevention, Volume 19, 2018 – Issue 3, pp. 317-325. 95 participants from all age groups were asked to drive under different types of distraction (conversation with passenger, cell phone use) in urban and rural road environments with low and high traffic volume in a driving simulator experiment. Then, a structural equation model is developed in which overall driving performance is estimated as a latent variable based on several individual driving simulator measures. 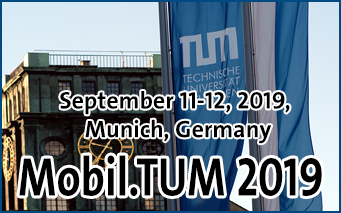 The implementation of the structural equation model allows for the assessment of driving behaviour in terms of overall performance and not through individual performance measures, which allows an important scientific step forward from piecemeal analyses to a sound combined analysis of the interrelationship between several risk factors and overall driving performance..
A Diploma Thesis titled “Development of an Optimization Model of Resource Allocation for the Management of Urban Transport Buses” was presented by Ilias Laios in March 2018, aiming to estimate the optimal allocation of the financial resources of the Athens Urban Transport Organization aiming for the most desirable result of the more efficient replacement of bus fleet. A mathematical optimization model based on the principles of linear integer programming was developed and implemented to achieve the goal. The greatest reduction in the cost of bus fleet management results from favorable conditions for the purchase of innovative and more efficient types of buses, such as electric buses and compressed natural gas buses. 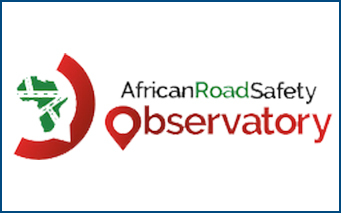 The Overseas Development Institute (ODI) launched a publication titled “Securing safe roads: the politics of change” which is an output of the project: The politics of road safety. 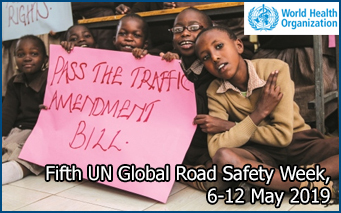 Over the past 10 years, road safety has been escalated to an issue of international concern. 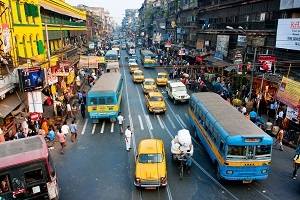 Together with the World Resources Institute Ross Center for Sustainable Cities, ODI undertook research in three middle-income cities: Nairobi, Kenya; Mumbai, India; and Bogotá, Colombia. In this report, ODI synthesizes the findings from these case studies concluding with a series of strategies to improve road safety. 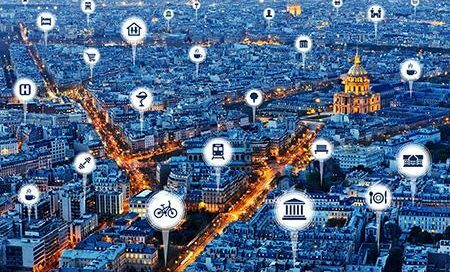 POLIS, the European cities and regions network for innovative transport solutions released a discussion paper entitled: “Road Vehicle Automation and Cities and Regions”. Polis promotes the discussion about vehicle automation, focusing on the car as opposed to lorries and buses and on ‘personal mobility’ rather than logistics. The aims of this paper are among others: a) to raise awareness of AV developments and their potential mobility and safety impact among city and regional administrations and to assist them in setting transport policies and plans to deal with them and b) to raise awareness of city and regional transport policies among vehicle manufacturers and other automated vehicle players. The European Commission has published the preliminary 2017 road safety statistics, which indicate for the second year in a row, a decrease in the number of fatalities of around 2%. While national authorities deliver most of the day-to-day actions, such as enforcement and awareness-raising, the Commission is working on a series of concrete measures to spur further substantial progress. This would be another step towards a “Europe that protects” as envisioned by President Juncker. 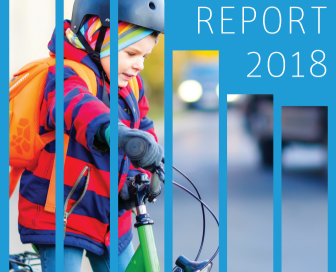 The Road Safety Statistics on EU are included in the recent EU report titled “Trends, Statistics and main challenges” and are discussed in the European Commission Fact Sheet: 2017 road safety statistics: What is behind the figures? The European Transport Safety Council (ETSC) has published a Position Paper titled “EU Funds for Road Safety in the Multiannual Financial Framework 2021-2027“. In this paper, ETSC presents recommendations for funding for road safety initiatives within the next long-term EU budget, known as the Multiannual Financial Framework (MFF). These recommendations should support work towards meeting the EU’s current target to reduce road deaths by 50% by 2020 and the new targets for 2030 as well as the long-term Vision Zero. 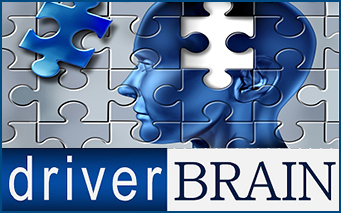 A paper titled “Driving in Mild Cognitive Impairment: the role of depressive symptoms” authored by Ion N. Beratis, Nikos Andronas, Dionysia Kontaxopoulou, Stella Fragkiadaki, Dimosthenis Pavlou, John Papatriantafyllou, Alexandra Economou, George Yannis and Sokratis G. Papageorgiou is now published in Traffic Injury Prevention. Previous studies indicate a negative association between depression and driving fitness in the general population. This paper aimed to cover a gap in the literature and to explore the link between depressive symptoms and driving behavior in individuals with mild cognitive impairment (MCI) through the use of a driving simulator experiment. Results indicated that depressive symptoms could be a factor explaining why certain patients with MCI present altered driving skills. Therefore, interventions for treating the depressive symptoms of individuals with MCI could prove to be beneficial regarding their driving performance. The European Transport Safety Council (ETSC) has published a Position Paper titled “5th EU Road Safety Action Programme 2020-2030”. 2016 was the third consecutive poor year for road safety: 25,670 people lost their lives on EU roads compared to 26,200 the previous year. But this followed a 1% increase in 2015 and stagnation in 2014. In addition, around 135,000 people were seriously injured on European roads in 2014 according to European Commission estimates. ETSC has identified nine main priorities for action with the top three outlined in the Executive Summary: vulnerable road user safety, automation and reducing the numbers seriously injured on Europe’s roads. A new, EU-level road transport agency could be critically important to planning and delivering new measures as well as providing regulatory oversight of the increasingly complex vehicle type approval that will be required to deal with increased automation. The European Transport Safety Council (ETSC) has published a Position Paper titled “Proposed changes to the driving and resting time rules and tachographs”. Amending Regulation (EC) No 561/2006 as regards on minimum requirements on maximum daily and weekly driving times, minimum breaks and daily and weekly rest periods and Regulation (EU) 165/2014 as regards positioning by means of tachographs ETSC welcomes the European Commission’s proposals on driving and resting times and the opportunity they give to improve road safety in the professional transport sector. While ETSC appreciates the rationale behind the proposals, it is crucial that any changes do not compromise the safety of those working in the professional transport sector, and by extension, other people using the road network. 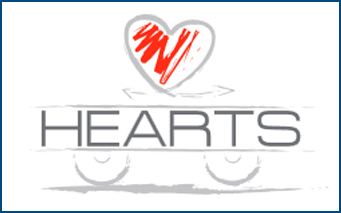 The European Transport Safety Council (ETSC) has published the 34th PIN Flash Report “New EU vehicle safety standards essential to reducing child road deaths“, with the active contribution of NTUA. More than 8,000 children aged 0-14 years have been killed in road traffic collisions over the last ten years in the European Union, new data show. Half of the children killed were travelling in cars, a third were walking and 13% were cycling. ETSC says that measures that can reduce speeding are critical to preventing the deaths of more children and is calling for the EU to require vehicle safety technologies such as Intelligent Speed Assistance (ISA) and Automated Emergency Braking (AEB) that can detect pedestrians and cyclists to be fitted as standard on all new cars. 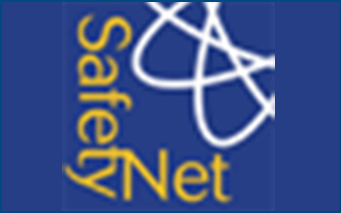 The UNECE Global Road Safety Model SafeFITS developed by NTUA is now freely available online. 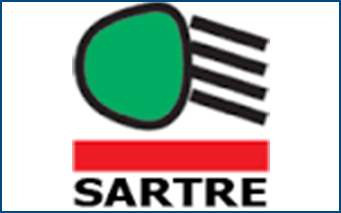 The primary objective of the state of the art “Safe Future Inland Transport Systems (SafeFITS)” model is to assist Governments and Decision Makers to identify the most appropriate road safety policies and measures, allowing them to simulate the impact and effectiveness of different possible interventions based on real-world data. Jean Todt, United Nations Secretary-General’s Special Envoy for Road Safety stated that: SafeFITS provides a tool to help Member States review their current road safety situation and priorities, assisting them to determine the most appropriate and beneficial policy options for their national context, under the framework of the Decade of Action for Road Safety. The European Transport Safety Council (ETSC) has just published a Report titled ‘Call for mandatory alcohol interlocks in vans, lorries and buses across the EU‘. ETSC is looking at how to reduce the 5.000 deaths still caused by drink-driving in the European Union each year and comes up with two main recommendations: the EU should require alcohol interlocks: a) to be fitted in all new professional vehicles and b) retrofitted to cars used by repeat drink-driving offenders. 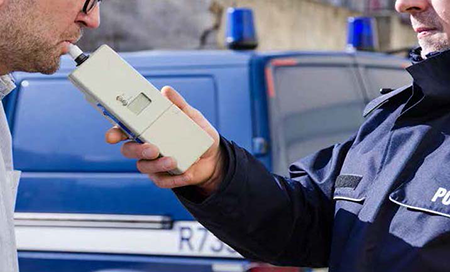 Antonio Avenoso, Executive Director of ETSC said that: the alcohol interlock programmes have proven to be one of the most effective measures for tackling repeat drink-driving offences and should be extended across the European Union. 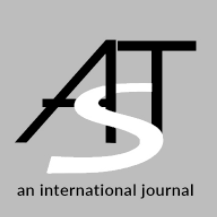 A paper titled “Simulation based safety margin assessment on speed variation between tangent to curved road alignment” authored by Eleonora Papadimitriou, Stergios Mavromatis, Dimosthenis Pavlou and George Yannis is now published in Advances in Transportation Studies. This paper investigates the safety margins of drivers along tangent to curved road sections. A vehicle dynamics model is presented, allowing to assess the vehicle speed variation at impending skid conditions from tangent to curve on the basis of several parameters. The results suggest that drivers’ safety margins towards the examined curve are considerable, with the majority of the drivers using less than 55% of the available vehicle horse power. Higher initial speed was positively correlated with driving efficiency i.e. lower safety margins. On the contrary, a higher safety margin was associated with earlier deceleration before the curve. World Resources Institute (WRI) Ross Center for Sustainable Cities and the Global Road Safety Facility of the World Bank in their publication titled “Sustainable and Safe: A Vision and Guidance for Zero Road Deaths” indicated that the most effective way to prevent traffic deaths is a systemic approach that shifts responsibility away from the drivers and pedestrians using roads to the city planners and officials designing them. Claudia Adriazola, WRI Director on Health and Road Safety, highlighted that analysis in 53 countries found that those that have taken a “Safe System” based approach have achieved both the lowest rates of fatalities per 100,000 inhabitants and the greatest reduction in fatality levels over the past 20 years. The World Bank launched a publication titled: “The high toll of traffic injuries – Unacceptable and Preventable“, in which a comprehensive methodology is proposed in order to quantify both the income growth and social welfare benefits that safer roads could bring to developing countries. The analysis is based on data collected from 135 countries over 24 years, and demonstrated that reducing the number of road traffic injuries in developing countries not only increases income growth, but also generates substantial welfare benefits to societies. Dr Soames Job, Head of the World Bank Global Road Safety Facility highlighted that: (a) Cutting traffic deaths and injuries by half could add 7 to 22% to GDP per capita over 24 years in select countries, (b) Welfare benefits equivalent to 6 to 32% of GDP per capita could be realized over the same period if traffic deaths and injuries were halved and (c) Road traffic injuries are the single largest cause of mortality and long-term disability among people aged 15-29, prime working age. 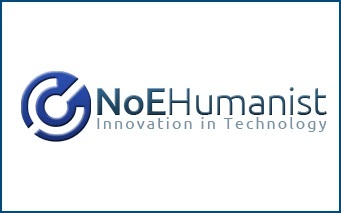 The European Commission’s Directorate General for Mobility and Transport (DG Move) published the Final Report of “The implementation of Directive 2006/126/EC on driving licences”, with the active contribution of NTUA. The third Directive on driving licences entered into force in January 2013 and provides harmonized rules aimed at enhancing drivers’ freedom to move, reducing the possibility of driving licence fraud and improving road safety in the EU. This Study explores the implementation of the third Directive on driving licences four years after implementation and assesses whether the introduced novelties contributed to achieving the objectives set by the Directive. 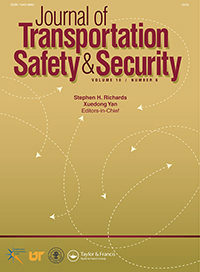 A paper titled “Accident Prediction Modelling: a literature review” authored by Tassos Dragomanovits, George Yannis, Alexandra Laiou, Francesca La Torre, Lorenzo Domenichini, Thomas Richter, Stephan Ruhl, Daniel Graham, and Niovi Karathodorou, is now published in the themed issue on transport safety and assessment of the Proceedings of ICE – Transport. This paper presents a comprehensive literature review on road traffic Accident Prediction Models (APMs) and Crash Modification Factors (CMFs). 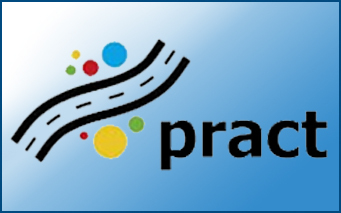 The focus is on motorways and higher ranked rural roads and the study was performed within the PRACT research project carried out for the European Road Authorities Organistion (CEDR). The review of CMFs focused on their background and development, the various methods for developing them and the key issues in their application. 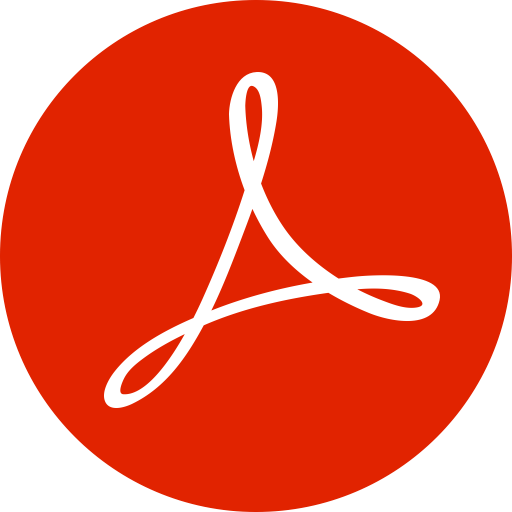 The review resulted in the development of an online APM and CMF Repository, with the aim of assisting the practical application of gathered experience on accident prediction. A Diploma Thesis titled “The impact of nighttime driving to driver behavior and safety in cities with the use of driving simulator” was presented by Armira Kontaxi in November 2017. An experimental process on a driving simulator was carried out and regression statistical models were developed to investigate the impact of nighttime driving on the mean speed, on the standard deviation of the mean headway distance and on the mean reaction time and accident probability. The models’ application demonstrated that nighttime driving in urban area leads to an increase of the mean speed, of the standard deviation of the mean headway distance and of the mean reaction time, resulting thus to a significant increase of the accident probability.